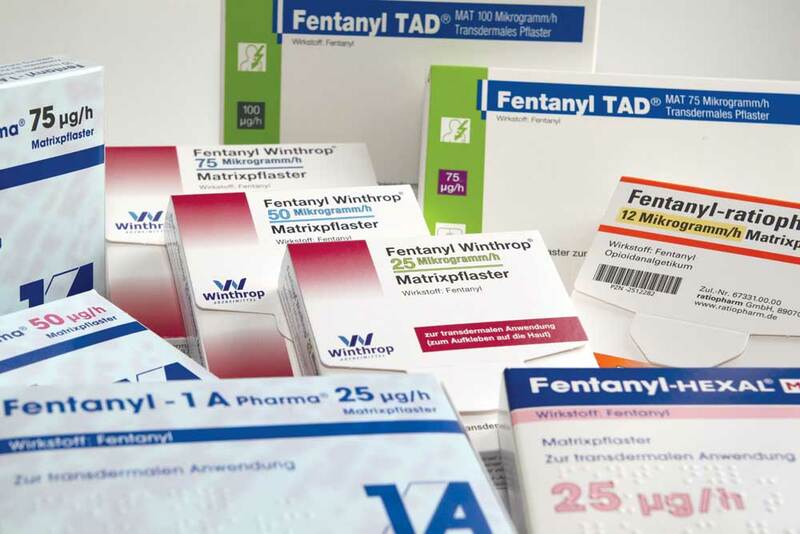 Fentanyl, available as a patch, is a strong painkiller prescribed to people to have certain types of cancer or are undergoing palliative care. However, it is also used illicitly, mixed in with other drugs with results that can be fatal. When used properly, it’s highly effective and highly visible. When prescribed by a doctor, a fentanyl patch is placed on the skin, where it sticks for usually three days, giving the user pain relief from a variety of ailments. But when used on the street, it can be deadly and invisible. Patches can be cut, scraped and cooked to get at the remaining fentanyl, which can then be mixed in with other drugs such as heroin or cocaine, to create a potentially deadly cocktail. The opioid has been making headlines across the country in places such as Winnipeg, Calgary and many cities in British Columbia, as more and more drug users are running up against a high their bodies can’t handle. And last week, the Durham Region Police responded to four overdoses in a 30-hour period, all linked to cocaine use. All four people were found without vital signs. All four of them survived, but it wasn’t long before DRPS received the toxicology reports on a sample of the cocaine found at one of the apartments and it cemented what they feared from the start: the drug was laced with fentanyl. “I think broadly, as a community within Durham, within the province and as a nation, we’re seeing a continued explosion of drug use, primarily cocaine and heroin that’s been cut with fentanyl,” says Paul McGary, the director of mental health for the Pinewood Centre, Lakeridge Health’s drug treatment program. The practice of cutting heroin or cocaine with other opioids is not new – in many cases, the second drug was OxyContin, another prescription painkiller that exploded into the pharmaceutical market in late 1990s where it quickly found its way to the street. However, last year, a province-wide plan to reduce that drug’s illicit use introduced a new version of the drug, OxyNeo, that can’t be crushed for snorting or smoking. This change has been linked to the rise in the use of fentanyl for the same purpose for illict users. However, fentanyl is much more powerful, being pegged at nearly 50 to 100 times more potent than morphine. “It doesn’t take much fentanyl to throw the chemistry off because of the fact that fentanyl is so powerful,” McGary says. And for drug users, this has spelled a deadly combination. According to information from the Office of Chief Coroner of Ontario, opioid-related deaths, or deaths linked to pain relief drugs such as fentanyl, Percocet or morphine, increased 242 per cent between 1991 and 2010. And just last month, the Ontario Drug Policy Research Network released a report entitled Opioid Prescribing and Opioid Related Hospital Visits in Ontario. The report found that between 2006 and 2013, 31,106 hospital admissions and 41,738 emergency room admissions were linked to this class of drug. With last weekends’ overdoses, McGary says they fit the pattern for how fentanyl works its way onto the street, which generally happens in waves. “Someone will mix a batch and so forth, it hits the street and you have a rash of overdoses,” he explains to The Express. For example, earlier this month on Aug. 9, Vancouver Police reported they handled six overdoses in a one-hour period, which were only a part of the 16 that occurred in that same day, all suspected to be linked with fentanyl. In order to curb the rising misuse of this powerful drug, DRPS has partnered with the Region of Durham and Lakeridge Health to start the Patch for Patch program. The program, initiated in November 2014, was spurred by a rash of eight deaths, seven of which were linked back to heroin laced with fentanyl. The program sees those prescribed the drug returning their used patches to the pharmacy. Used patches can still contain large quantities of fentanyl, which can be scraped and cooked off. For Sgt. Bill Calder, the Patch for Path program is a good start, but it can’t address the issue of drugs being brought in from outside the region or from overseas. The desire for the drug has also been blamed for pharmacy robberies across the region. In July, an employee at the Shoppers Drug Mart on Highway 2 in Courtice removed a quantity of drugs from the store’s safe, which she handed over to a male inside the store. She did not show up for her shift the next day, and it’s believed the drugs stolen, which included fentanyl, have a street value of nearly $50,000. Two people were also arrested in June following the robbery of an Ajax drug store. It could not be confirmed if fentanyl was involved in that case. Following last weekend’s overdoses, two of which occurred in Whitby, one in Pickering and another in Ajax, a 25-year-old male from Whitby has been arrested. It is still unclear if all four incidents were connected to the same batch of cocaine. Calder says police urge people to dial 9-1-1 if they believe they or a friend may be experiencing an overdose. “If all four of those people didn’t have someone there to call it in, I’m sure they might all be deceased by now,” Calder says.